Many places vie for the title of world's oldest city but how exactly do you define a city, and how old is old? Every now and then archaeologists dig up iron implements or stone statues that set their estimates back another few thousand years. The story of our first human settlements is a hazy outline in the mists of time. What's certain, though, is that a visit to the world's oldest places can be a moving experience. The scale of the architectural ambition is often as astonishing as the quality of the mosaics, statuary and pottery. You can feel the depth of history not just in foundations and ruins but in living cultures. In our modern society which often idolises the young and new, you might discover a profound admiration for the ancient. If you think old places never change, you'd be wrong. True, many an archaeological site appears to be unchanging, but excavations open up new tombs and palace ruins, and new understandings constantly emerge to challenge the assumptions of previous generations. Many destinations are also rolling out new museums, tours, technological innovations and upgraded infrastructure and hotels that make them ever more accessible or improve our insights. Here are 10 ancient places doing just that, providing plenty of contemporary flair without ever distracting from the wonder of the truly old. 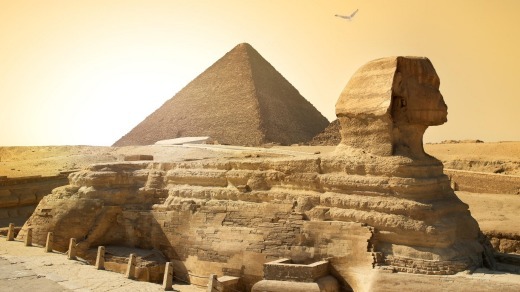 Memphis was founded by the pharaoh Menes, though his dates are uncertain. 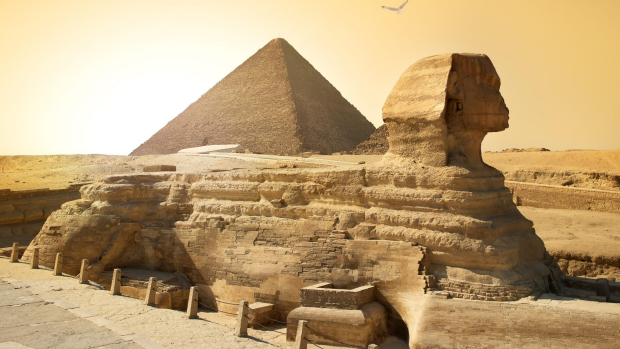 It was ancient Egypt's capital under nine dynasties and reached its peak around 2300BC. The modern city was founded in 969 as the Fatimid capital. The pyramids at Giza and Museum of Egyptian Antiquities (antiquities.gov.eg) are the big focus, but Cairo also has a significant Islamic heritage that includes bazaars, mosques and an Ottoman citadel. The government has just opened new tombs at Saqqara outside Cairo to the public, including the 4300-year-old Tomb of Mehu, which has elaborately painted walls depicting hunting and dancing scenes. 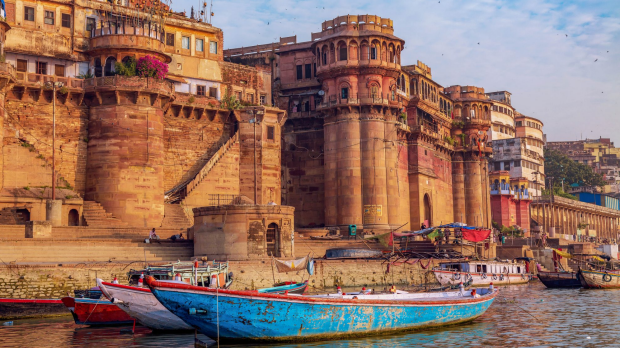 According to Hindu mythology, Varanasi was founded by Shiva. Archaeological evidence shows people have been living here on the Ganges River since 1800BC. This is Hinduism's holiest place and an important pilgrim destination. The river is lined with temples and ghats where cremations are held. Ashes are scattered in the Ganges. The old town's narrow, disorienting lanes are crowded with stores and artisan workshops. 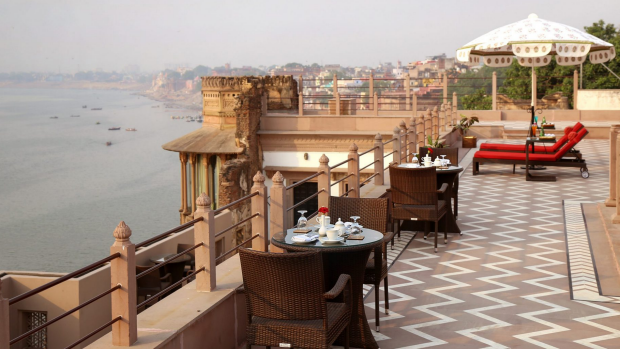 The 2016 opening of the Brijrama Palace (brijrama.com) set a new benchmark for luxury hotels in Varanasi. In the next couple of years international brands such as Crowne Plaza and Holiday Inn are coming to town. Last year saw the launch of hot-air ballooning, and this year new luxury cruise boat Alaknanda started taking tourists along the ghats. Dhamekha Stupa has a new sound-and-light show. Sarnath, 10 kilometres north of the city, is where Buddha preached his first sermon in 528AD. There are the ruins of several temples and monasteries and an archaeological museum. 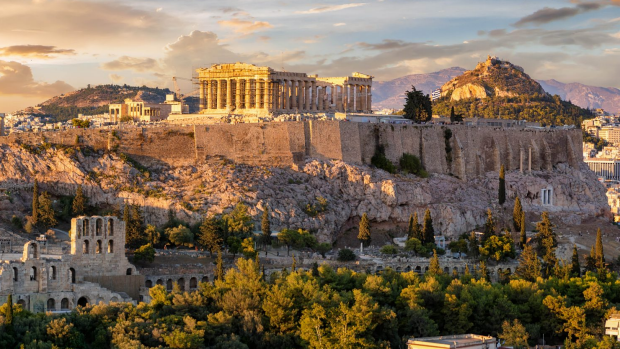 Athens has a recorded history spanning 3400 years, but humans have lived in the area for at least 10,000 years. It was at its classical height between 508 and 322BC as a centre for the arts and philosophy that still influence the world. The Acropolis and its museum (theacropolismuseum.gr), ancient Agora marketplace, National Archaeological Museum (namuseum.gr) and old quarter Plaka are highlights. Athens is undergoing a revival despite Greece's economic woes. 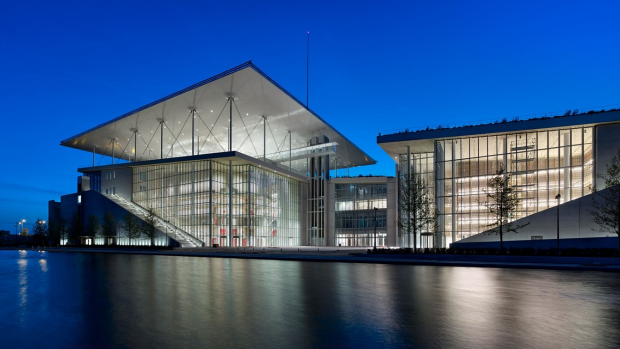 The opening of the National Museum of Contemporary Art (emst.gr) and Stavros Niarchos Foundation Cultural Centre (snfcc.org) in 2016 positioned it as a city of contemporary as well as classical culture. Athens has a plethora of new downtown restaurants and wine bars, new hotels and a great new Meet the Locals program (myathens.thisisathens.org). Athens comes alive in summer with open-air cinemas in prominent locations, including ancient ruins and public parks. Among the best are Cine Aegli (aeglizappiou.gr), Cine Psiri (facebook.com/CinePsirri) and Cine Vox (facebook.com/vox.athens). 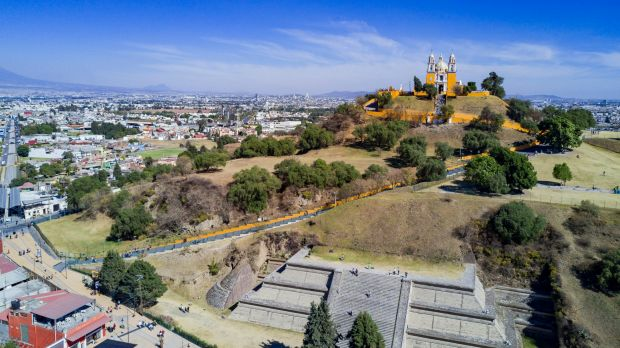 Cholula, founded in the second-century BC, is the oldest continuously inhabited city in the Americas. It flourished between 600 and 900 as a centre of worship for the god Quetzalcoatl. Archaeological excavations, begun in the 1930s, are ongoing. Only the base of the Great Pyramid remains in the Archaeological Zone (inah.gob.mx), but it's four times larger than Giza's famous pyramid, and a startling sight. It's topped by a beautiful Spanish-colonial church with view towards Popocatepetl volcano. Samarkand was settled in the eighth-century BC but has signs of human activity dating back 40,000 years. Bukhara was founded in 500BC on traces of former cultures. Both were centres of Islamic learning and important Silk Road trading towns. In Samarkand, the stunning Koranic schools of Registan, Gur-e-Amir Mausoleum (the tomb of Emperor Timur or Tamerlane) and the huge Bibi-Khanym Mosque are highlights of central Asia. Bukhara boasts an ancient fortress, mosques and the ornamental 1127 Kalon Minaret. Uzbekistan is actively courting international tourists. It has already renovated ancient monuments in Bukhara and wants to double visitor numbers in Samarkand by 2021 by investing in better air and rail links, new hotels and a downtown tourist zone. The modern city of wide avenues and parks is a sleek contrast to the old town. Samarkand's Shah-i-Zinda is a superb avenue of eight centuries of mausoleums covered in sumptuous Islamic tilework in shades of blue, recently renovated and now World Heritage listed. People have been living here since the sixth-millennium BC, making Plovdiv one of Europe's oldest cities. It stood at a vital Roman crossroads in classical times, when it was known as Philippopolis. 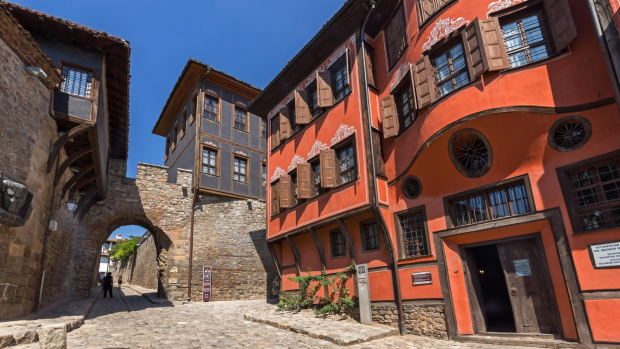 Plovdiv has a delightful old town topped by the atmospheric ruined fortress Nebet Tepe. A Roman-era stadium (still used for opera and rock concerts) and Ottoman-era Dzhumaya Mosque stand amid glorious National Revival architecture. Nearby Bachkovo Monastery (bachkovskimanastir.com) has magnificent murals. 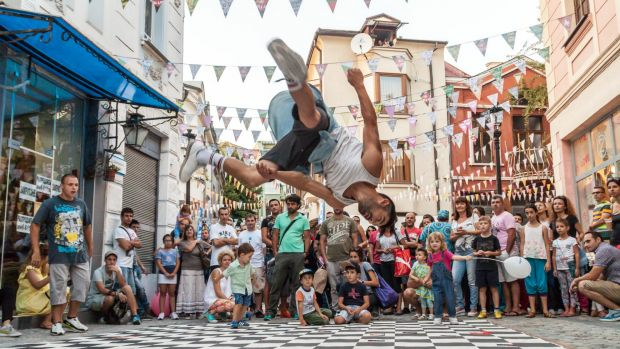 Plovdiv has been ramping up its cultural and events tourism credentials in the lead-up to stepping out as 2019 European Capital of Culture (plovdiv2019.eu). Next year will see the city come alive with art installations, culinary events, contemporary arts and dance programs, and a host of music and arts festivals. Kick back in the recently revived and renovated bohemian quarter Kapana, with its tangle of artisans' workshops, bars, craft-beer outlets and hipster cafes. Most of its streets have been pedestrianised, and there is a perennially buzzing atmosphere. 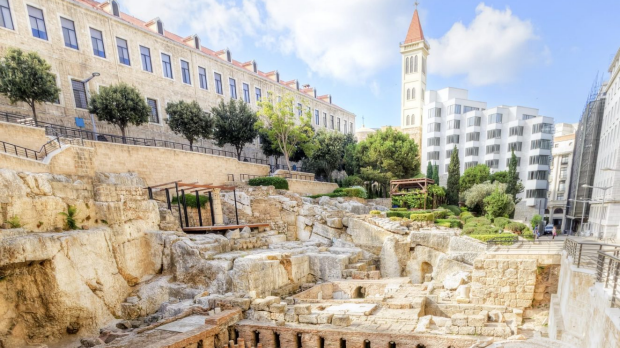 Beirut was settled 5000 years ago and got its first mention in historical records in the 15th-century BC. Phoenician, Greek, Roman, Byzantine, Arab, crusader and Ottoman remains have all been uncovered. Recently superbly restored Roman baths, the crusader-era Church of St John the Baptist (now a mosque) and 1767 St George Orthodox Cathedral are among historic buildings. The National Museum of Beirut houses superb archaeological artefacts. 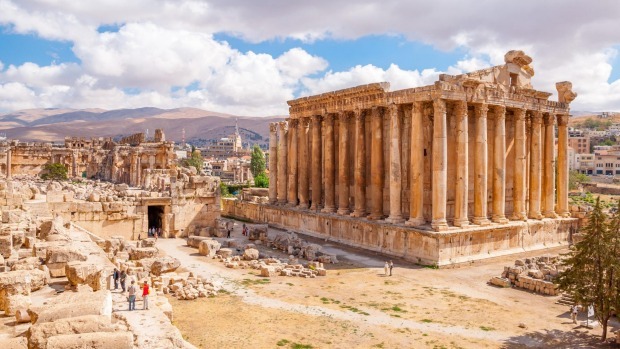 Make excursions to even more ancient seaside Byblos and hilltop Baalbek (baalbak.org), one of the world's best preserved Roman temples. 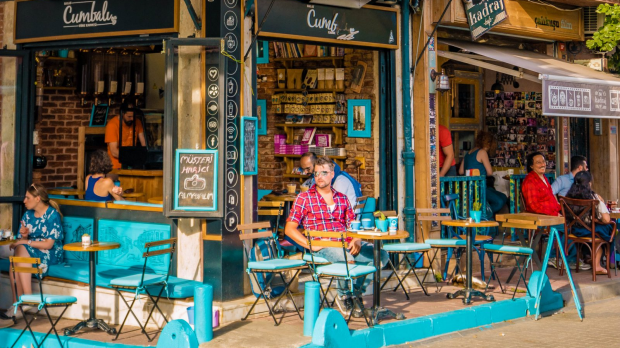 This cosmopolitan, glitzy and surprisingly glamorous city has cutting-edge arts and fashion scenes and an appetite for dining and nightclubbing in spruced-up districts such as Gemmayze, Badaro and bohemian Mar Mikhael. 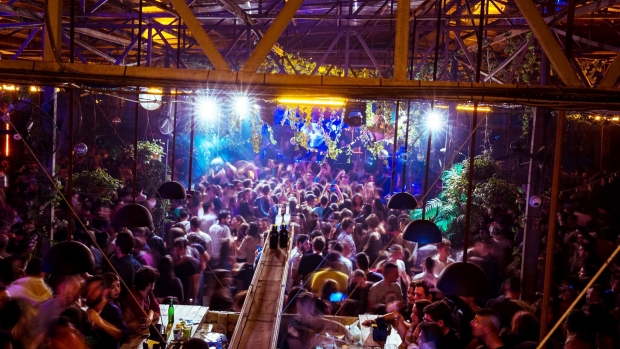 Grand Factory nightclub (thegrandfactory.com), on the rooftop of a former factory, epitomises Beirut's party spirit. Sursock Museum (sursock.museum), which showcases mostly Lebanese contemporary art in a lavishly restored Venetian-Ottoman private villa. Its 2015 reopening helped kick-start Beirut's now thriving arts scene. 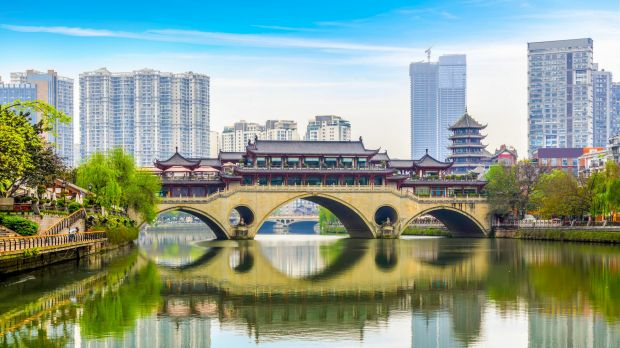 Chengdu has been inhabited for 4000 years but acquired its name in the early fourth-century BC when it became the capital of the state of Shu. During the Tang Dynasty (618-907) it was one of China's most prosperous cities. Still active sixth-century Wenshu Monastery features dozens of courtyards and 400 Buddha statues. Du Fu's Thatched Cottage (cddfct.com) celebrates a ninth-century poet and is set in lovely parks. Wuhou Temple (wuhouci.net.cn) dates from 221AD. 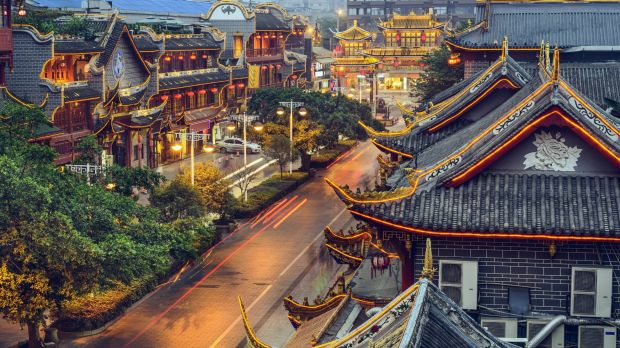 A dozen cities in China are older, but Chengdu is the most innovative, known for its laid-back lifestyle, newly revived teahouse culture and fiery cuisine. It has great air connections and the rapidly expanding new Chengdu Metro (chengdurail.com) makes getting around easier. The downtown, promenade-flanked Jin River is the centrepiece of the city's green and clean efforts. Panda Research Base (panda.org.cn), devoted to both endangered giant and red pandas, especially if you're here in late summer, when new-borns emerge into the open air. 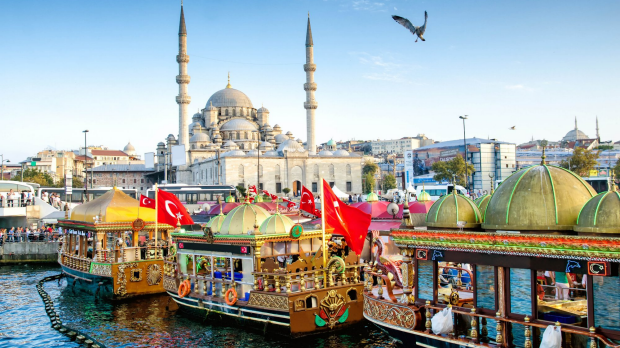 Established as Byzantium in 667BC, re-established as Constantinople in 330AD and a Roman, Byzantine and Ottoman capital for 16 centuries, Istanbul is one of the world's most storied cities. Power base of the Ottoman sultans Topkapi Palace (topkapisarayi.gov.tr), the huge Sultan Ahmed or Blue Mosque (sultanahmetcami.org) and Byzantine-era Hagia Sophia (ayasofyamuzesi.gov.tr) are the three great sights. There are many other glorious monuments, bazaars and museums. 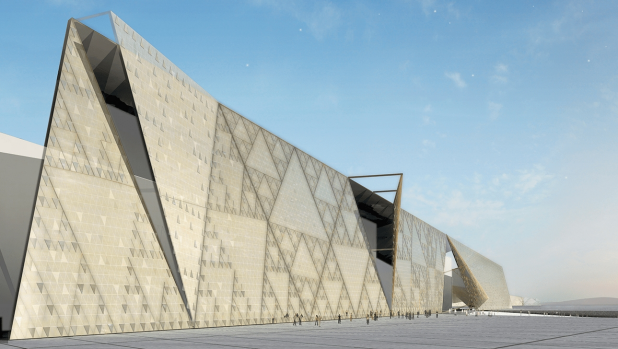 Istanbul is imminently opening the first phase of its gargantuan new airport. Interesting new boutique hotels include Galata Istanbul Hotel (accorhotels.com) and Nish Palace Istanbul (hyatt.com). Emerging neighbourhoods include historic but hipster Balat with its colourful painted houses, creative hub Tomtom, and restaurant and cafe hangout Bomonti. Kadıkoy-Moda on the Asian side of Istanbul is now the city's latest dining and nightlife hot spot, with a reputation for independent arts and music anchored by nightclub Arkaoda (arkaoda.com). Enjoy seafood restaurants overlooking the Sea of Marmara, and browse the bars along Kadife Sokak street. Twenty successive layers of settlement in Jericho date back to 9000BC, giving it a good claim to be the world's oldest city. The earliest reference to Bethlehem appears in 1400BC, but tombs date back to 2200BC. 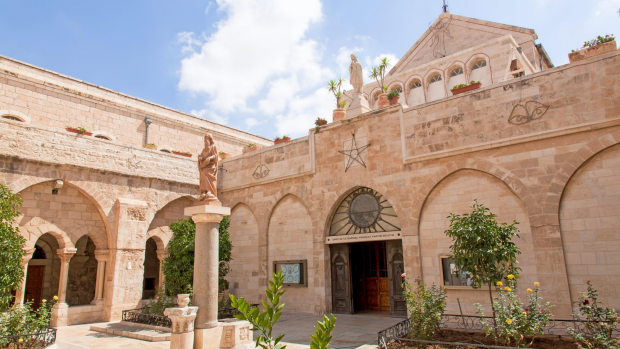 The Church of the Nativity in Bethlehem is reputedly built over the site where Jesus was born. Nearby Jericho is dense with historic sites. Outside town, Tell es-Sultan has settlement remains dating back 10,000 years, and Hisham's Palace features superb eighth-century mosaics. 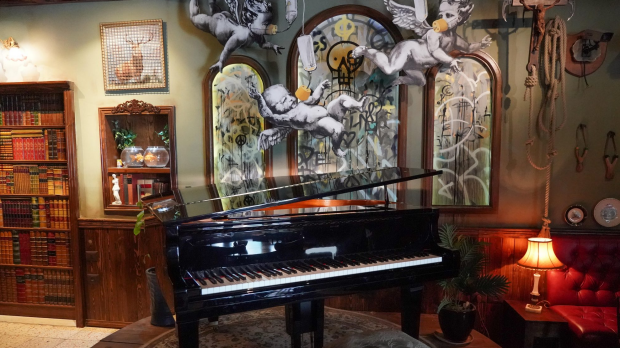 Since 2005, infamous street artist Banksy has daubed the wall that divides Bethlehem and Jerusalem, and last year he opened the art-filled Walled Off Hotel (walledoffhotel.com). Tours take you to the wall's graffiti and to visit non-profit organisation Al Rowwad (alrowwad.org) in Aida refugee camp, which provides insight into the Palestinian refugee issue. Clinging to a cliff face on the Roman road to Jericho is sixth-century St George's Monastery, which has a still-active Eastern Orthodox community. Most of the world's most ancient objects are conserved away from public view in museum collections, but you can take a look at these venerable items.